Natalie’s One-Sentence Synopsis: From the author of The Devil Wears Prada comes another ‘behind-the-scenes’-style novel–the music industry this time around–that felt flat and predictable. 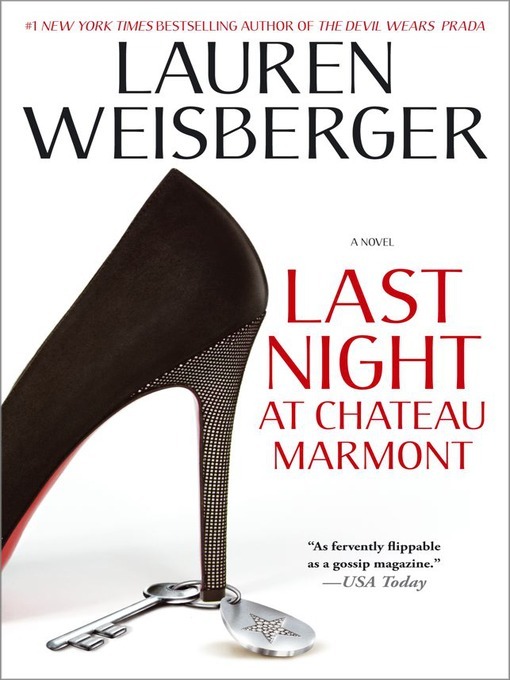 Last Night at Chateau Marmont is Lauren Weisberger’s fourth novel, and I went into it looking for a light beach read with a side of music industry dish on the side. Unfortunately, what I got was a predictable story with unlikeable characters and a missed opportunity to flesh out a sub-plot that had potential. Working two jobs to support herself and her musician husband, Brooke Alter never falters in her faith of Julian’s musical talent, constantly defending his fledgling career to friends and family. When Julian finally gets an amazing break, his meteoric rise to fame brings conflicts and lonely nights for Brooke. Julian crisscrosses the country making appearances and playing parties, while Brooke plays the martyr back home in New York, refusing to take a leave of absence from work to travel with him. Unlikeable characters aside, this was one of the biggest problems I had with the novel. Brooke has made so many sacrifices in an effort to further Julian’s career but when it finally pays off, she doesn’t take an extended leave to share in Julian’s success. She was only too willing to support him before he became famous but when he asks her to take some time off (instead of day here and there), she bristles and goes on the defensive. What happened to the supportive wife she’s been playing for the last 200 pages? Julian is excited to finally be able to provide for her, to give her respite from the long hours at two jobs and years of budgeting, and her response baffles him (and me). Of course it was disappointing to see Julian selling out and embracing the jet-setter lifestyle (at the urging of his Svengali-like agent), but I suppose it’s hard to stay grounded when you’re a media darling surrounded by an entourage of yes-men and lackeys. He falls under Hollywood’s spell, jettisoning his signature look (white t-shirt, jeans, wool cap) for a $20,000 wardrobe from Barney’s. He makes a 180 from considerate husband to petulant rock star in a blink, and I wanted to kick him to the curb myself! Toss in a few suggestive tabloid photos of Julian and other women and some negative media attention for Brooke–ineffective attempts to elicit sympathy for her?–and suddenly the marriage is on the rocks. Compounding that is the impact her spotty attendance has wreaked on both jobs. If she would have taken a leave of absence instead of a few days off here and there, things would have been better for her. So, can a woman who worked tirelessly to help her husband find success in such a fickle industry really want him to give it all up because the lifestyle isn’t what she thought it would be? Better still, would a man who gave up medical school to pursue his dream really turn his back on wild success, opting to remain on the fringe of celebrity so he won’t lose his family and friends? As I turned the last page, I found myself wishing that Weisberger would have delved further into the subplot of Brooke’s part-time career as a dietitian/counselor at a private girls’ high school in New York. Instead, she wrapped up that storyline as neatly as she did the rest of the book. Sounds like one to skip or as you say, one to borrow! This was one I’d been wondering about, so I’m grateful for your honest review… looks like one I’ll read *if* I get a chance, but if not, I won’t sweat it. I just took it out from the library yesterday. That does sound like a subplot worth development – there could be really interesting stories from a dietician/counselor at a private girls’ school. I didn’t read Devil Wears Prada, so this book hasn’t really been on my radar, but sorry that it was a disappointment for you. I wasn’t crazy about The Devil Wears Prada, so I’ll probably skip this one. It does sound really mixed up. Why would you be supportive for years and go AWOL when success hits? Sounds like the most interesting thing about the book is the building that is in the title. the hotel has quite a history! 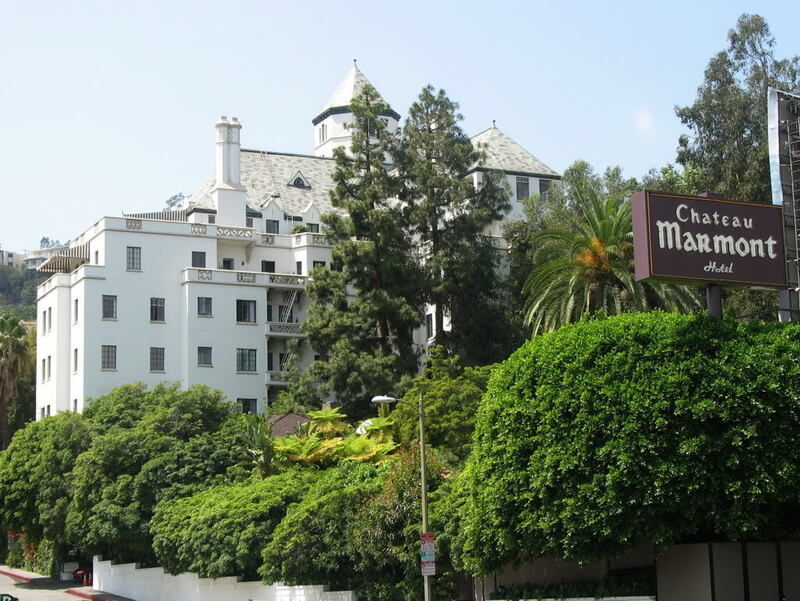 i did some research on it before reading and it’s quite the hollywood hangout and has been for generations. Hmm…since I was annoyed with the characters just by reading your review I think this will be one I skip. Good to know! After seeing negative reviews of this one off and on, I’ve definitely decided to skip it! There’s nothing that frustrates me more than baffling behavior on the part of characters we thought we’d gotten to know. Brooke’s mysterious shift from supportive wife of angry martyr would have me wanting to chuck this one at a wall.